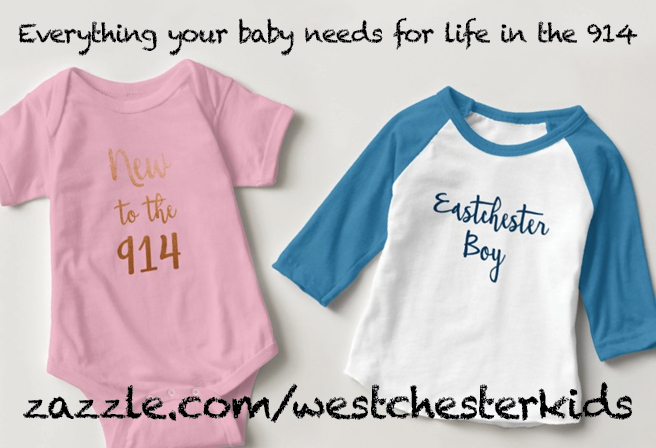 Luckily Westchester has us covered with plenty of great options to see the big old guy. Here's our annual list of places to go with feedback from parents who have gone in the past, including where to eat breakfast with Santa! There are some new changes this year, so we'll be updating our feedback as it comes in from our naughty-or-nice reporters. Have you visited Santa and lived to tell the tale? Be a guest reviewer and we'll post your feedback here. Click here to answer a few short questions. Do you run a small business? We'll be listing our local business highlights for Small Business Saturday. If you'd like to be listed, contact us at info@babygotchat.com with a description of your business, links to your website, and photos of you or your merchandise. Let's shop local this year! Walmart's CEO's bonus is already big enough. The first of four November Mommy & Me Meetups at Lil Chameleon was a hit! Come join us next Monday at 10:30am! Click here to sign up. Our team of guest blogger elves visited several Santa spots to see which are worthy of cheers or tears. Below are the results of our research. Click here for dates, times, and location. There are also pet photo dates. There is no charge to see Santa, but you can purchase photos and mementos. The lowest picture package in 2016 was $30 with an additional $10 for a digital upload. We chose just to do the digital upload alone for $30. This Santa accepts reservations with a $10 advance payment that can be used toward a photo package. Our latest reviewer went on a weekday and there was no line. One blogger visited without a reservation on a Sunday in the early afternoon and waited in line for about 45 minutes. Another blogger went without a reservation and there was only one person in front of them. View daily hours and make reservations here. You can take your own photos but Santa only looks in the direction of the professional photographer. The waiting area was nicely decorated and lent to some cute photo ops in line. The 2017 Santa is friendly but bland, according to our reviewer. There aren't any elves, but the sales person was extremely friendly and went out of his way to give the best package and lots of freebies and coupons. On our 2016 visit, our 1-year-old was fussy but Santa tried to calm him down for a photo. Our guest blogger wished the experience was a little more interactive—she found that Santa was too quiet. The rest of the staff was composed of young people with good energy, they seemed to have fun getting the little ones to smile for the camera. The mall is pretty warm so leave those coats in the car. If you’ve had photos at The Westchester before, you’ll be on the email list for package coupons from the photo company, Noerr. If you visit before Thanksgiving, you can get $10 off a photo if you buy a $100 American Express Gift Card at Guest Services. Click here for more info. Click here for dates, times, and location. They've updated their entire process for 2017. Now you can only see Santa with a reservation, but you can make one as close as 30 minutes in advance or as far away as 5 days if slots are available. Reservations are always free. Your time slot is 30 minutes, and they ask you not to arrive any earlier than the time on your reservation. Last year we had a reservation and waited 10-15 minutes to see Santa. This year, everyone will be able to experience the full Santaland waiting area that was previously only available to the drop-in crowd. If it's anything like last year there will be cute displays and photo op spots. So far this year the buzz is that there are 90-minute waits even WITH the reservation! We're hoping it gets better as we really loved going last year! They let us shoot photos with our phones. When we visited in 2016, an elf greeted us at the front of the line and brought us over to a decorated room with Santa (Macys has several rooms but they are super careful to make sure you don't see any other Santas on your way in). The elf got our kids excited and explained a bit about the decorations and seeing Santa and asking him for something on their list. We entered the private room and they let us have a few moments to talk to Santa. We had young kids so they needed a minute to get comfortable enough to interact with Santa. Once they were ready the elves had the parents move out of the way so they could take photos. Then they led us all out into the line to review and purchase if we wanted. We got a free commemorative pin on our way out. Santa seemed nice and was gentle enough with our toddler that she wasn't freaking out. The elves and photo takers were also really nice. Santa was styled traditionally and the photo scene background was cute. We felt like we had as much time as we needed for our kids to enjoy the experience. You can and should bring your stroller. The event is inside so dress them however you'd like. Bring your phone to take as many of your own photos as you can. If you can go with a friend, you can go in the same room together to see the same Santa at the same time, but take separate family photos. That saved us money because on the way out we bought a 2-photo package and split it, using one of my daughter with Santa and one of her son with Santa. If you go in separately you can't combine your photos into one package and you might pay more. Give yourself plenty of time to get around the store, as the holiday crowd is slow moving and it's hard to find an elevator empty enough to accommodate a stroller. There's plenty to do once you get inside Macy's, so coming early isn't a bad idea. Be sure to check out the famous decorated windows outside the front of the store. If you need a pit stop after, there's a McDonalds on the floor below that is clean and well-serviced. Note only service animals are permitted to see Santa, so leave Rover at home. $39.99 gets you 1 5x7 print, 1 4x6 print, 4 wallet-sized prints, digital downloads, and if you reserve online, the downloadable e-book I Can't Wait to Visit Santa! by Tish Rabe and illustrator Lindsey Sager. There are $5 discount days typically during the week. Smaller photo packages may be available at time of purchase. Reservations are accepted with advance purchase of the $39.99 photo package, but not required. There is a sensory-friendly santa available 11/19 and 12/3 from 8am-10am with required reservation. Click here to make reservations. We're not sure! Our guest blogger didn’t try to sneak any photos on her phone, and she didn’t see anyone else taking their own photos either. This year the experience includes interactive displays of Elf-Ray Vision and the Naughty-Or-Night-O'Meter. Visit on 12/2 and meet Frosty the Snowman and Rudolph the Reindeer. Holiday PJ night is 11/17 and 12/8. Pet-friendly days are 12/11 and 12/18. There are two Santa workshops which include some interactive digital displays. Our blogger had a young toddler so she didn't stop to play with those. The staff were super friendly. If you have a little one, you can keep them in their stroller up until they meet Santa. Need a photo for your Christmas card? Come with the whole family on Holiday PJ day! Click here for dates, times, and location. The festival starts November 24. It's free to visit Santa. In 2016 the starting photo package was $30 but you could only leave with one photo. Any others you order have to be mailed to you with an additional shipping cost. Our blogger went on a Saturday, but it was surprisingly not too crowded. No personal photos allowed in 2016. The line was long, but Santa was nice and patient, as were the staff. Don't be deceived by the wording: this blogger says she wouldn't really call it a festival. If you go outside of the event times, you'll just find pictures with Santa, a few reindeer, and two carnival rides costing $4 a ticket per person. There are several special events including an arrival party on 11/25 with refreshments and face painting and a holiday stroll on December 2 and 3 with a live nativity, free horse-drawn carriage rides, shopping, live music, an ice sculpture demonstration, food trucks, and a candlelight open house at the Knapp Tavern Museum, an old stomping ground of George Washington. Our blogger warns us that on her visit in 2016 the carousel ride felt very fast. She says, "I could have fallen over if I wasn't holding onto my son." This is mostly outside, so dress warm! Click here for dates, times, and location. They haven't finished updating their website yet, so more info coming soon. Free to see Santa. There were several photo packages. In 2016 paid $25 for a 5x7, 2 4x6, and 4 wallets. They didn't take reservations. Santa was on break when we got there, but the wait was not long. It said that personal photos were not permitted, but we took them anyhow. When we went in 2016 Santa was very nice. Our baby was able to spend a lot of time with him, and they were having fun. We thought both Santa and the staff were very accommodating. In 2016 the station where we viewed the pictures should have been separate from the camera person's station. That part felt a little pressured. We did not want to take up too much time viewing and choosing the photos because someone else was waiting to have their pictures taken. There is a sensory santa on 11/26 and Pet Nights on 12/3 and 12/10. There is also a program called Tuesdays with Santa on 11/21, 11/28, and 12/5. Breakfast with Santa is on 12/3. Tickets to Winter Wonderland are about $15, kids under 3 are free. The cost to see Santa is included in admission. There is no photographer, so bring your own camera. There are no reservations; you simply get in line and wait your turn. There’s no one manning the line at the front, so there may be some eye-roll moments of parents hogging Santa. The line is inside a heated tent, but it can get long enough that it snakes outside the tent as well. When we went last year we waited about 15–20 minutes, and the line had started outside. Shoot away! No photographer is on site. Winter Wonderland keeps getting better and better. Our 2017 and 2016 Santa (same guy) was traditionally dressed compared to our 2015 Santa who was wearing yellow (!). In 2015 we had a 1-year-old who panicked immediately so we got one of those hysterical-crying photos that are so hilarious. 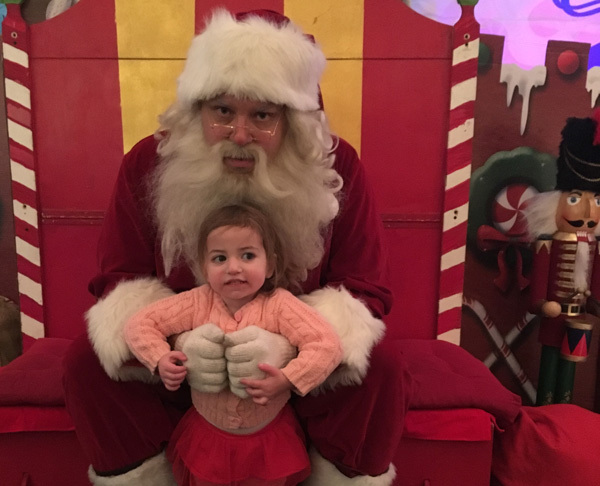 Since there's no professional photographer and it's a free-for-all, the experience can feel a bit rushed depending on your ability to ignore the death stares of parents waiting in line behind you as you chat with Santa and try for that perfect picture. Our santa was nice but he looks a bit like a serial killer in the photos from this year and last year. He needs a session with Tyra to work on his smize. Make friends with the people behind you, as you may need them to take your photo! Bring a stroller as there is a lot of walking from the parking lot to the Santa tent, and you’ll want a place to put your coats for the photos. There are heating stations throughout which are great for the wait. Come for Santa, stay for everything else Winter Wonderland offers! There are lights, music, a circus tent with a small show, free ice skating including skate rentals, a few midway rides, food trucks, and drinks. There are also special events nights including a free-admission-with-donation toy drive, other not-for-profit nights, special character meet-and-greets, movie night, tree lighting, and even an early New Year's Celebration at 8pm on December 31st! Click here to see all the events. Last year it was free to visit and commemorative photos cost between $25 and $50. 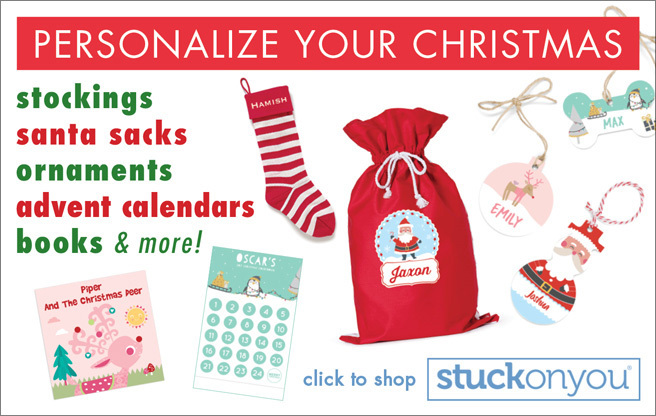 All packages include 3 free phone calls from Santa, a $20 promo card from Shutterfly, and a free printable personalized Nice List guide. FastPass reservations are available, but not required. If you want a reservation, you'll have to prepay for your photo package. The reservation is a 2.5 hour window. We've heard in the past there can be up to 45-minute waits even with a reservation, but since they have revamped the experience, we're still waiting to hear feedback for this year. In 2016 we were told we couldn't take photos, even if we prepaid for a package. The last two years have been branded experiences with Dreamworks. Last year's was Kung Fu Panda (you know, everyone's favorite Christmas character . . . ?) This year they don't have the partnership so it's anyone's guess how this will affect the experience. The website claims we will delight in the interactive snowflake wall, music & light shows every 30 minutes starting from 5:00pm to 10:00pm, and a private family meet & greet in Santa’s library. You have to wait outside for your turn and the parking garage is a little bit of a walk away, so dress everyone warm. Last year the experience led us from room to room inside before we met Santa so if it's like that again, try to wear layers that aren't too bulky to carry around. Last year they sometimes crammed too many people inside the waiting room and one blogger reported she could barely breathe. They seem to try to keep flights to 3-4 families at a time. Last year the rule was no strollers and no phones. You can get pet photos with Santa 11/17 and 11/19 from 7:00pm to 9:00pm. Reservations are available but not required. If you want a reservation, you'll have to prepay for your photo package which runs from $35 to $40. Our reviewer doesn't remember the policy but it's a small space so she didn't try. Our poster had a reservation and stood outside for about 10 minutes because Santa was on a break and they have to lock up the house while he is gone. There is a bench you can use to change or do hair etc. The staff is friendly and Santa is usually pretty friendly. The free gift last year was a candy cane and a coloring book. Our reviewer had a good experience overall but noted that they do rush you out when you are through especially when it is crowded. Holiday PJ sessions available on 11/17 and 12/8 and pet photos are available on 11/27, 12/4 and 12/11. Thanks to our guest bloggers Amy, Allison, Daneen, Jennifer, Laura, Jen, and Michelle. Don’t see your favorite Santa spot on this list? Submit your review here (attach a photo too if you like!) and we will add it to this post. I’d love to hear from you. Our shortlist of where to break bread with the big red guy.